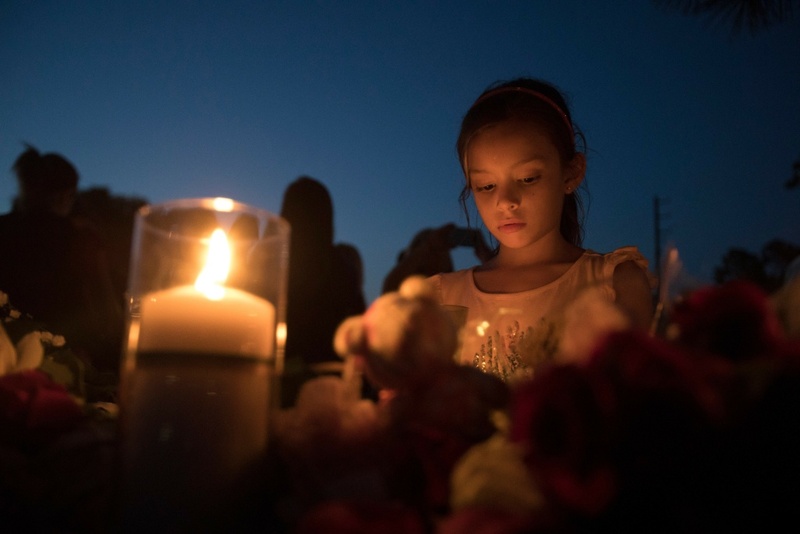 Lucretia Martinez, 7, stands before various momentos people have left during a candelight vigil in Santa Fe, Texas for the victims of the mass shooting on May 18, 2018. Patrick, a Republican, blamed the shooting in Santa Fe, Texas on a "culture of violence" and said more needs to be done to keep shooters away from students, such as restricting school entrances and arming teachers. 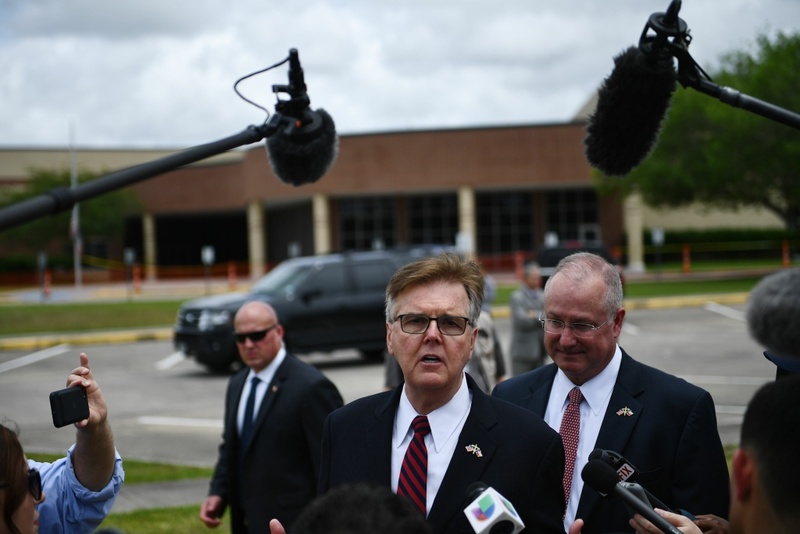 Texas Lieutenant Governor Dan Patrick speaks to the press on the grounds of Santa Fe High School on May, 20, 2018, in Santa Fe, Texas. 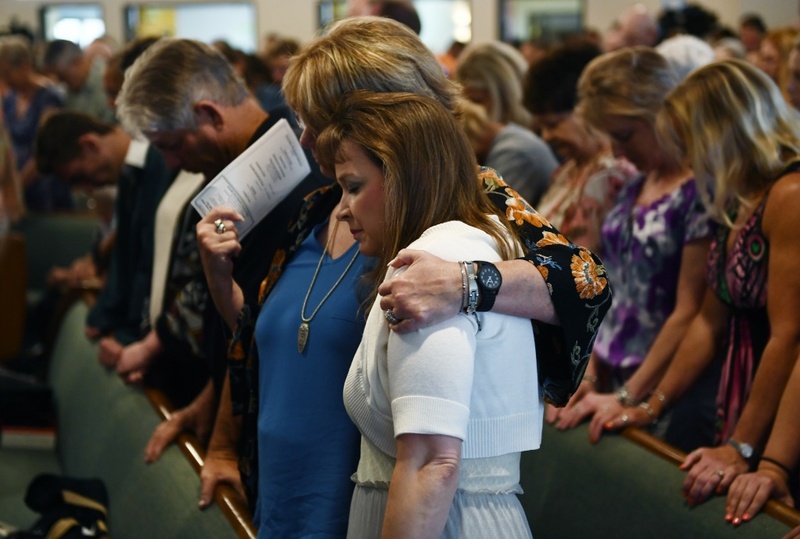 Worshippers attend a May 20, 2018 mass at Arcadia First Baptist Church in memory of the Santa Fe High School shooting victims, in Santa Fe, Texas. 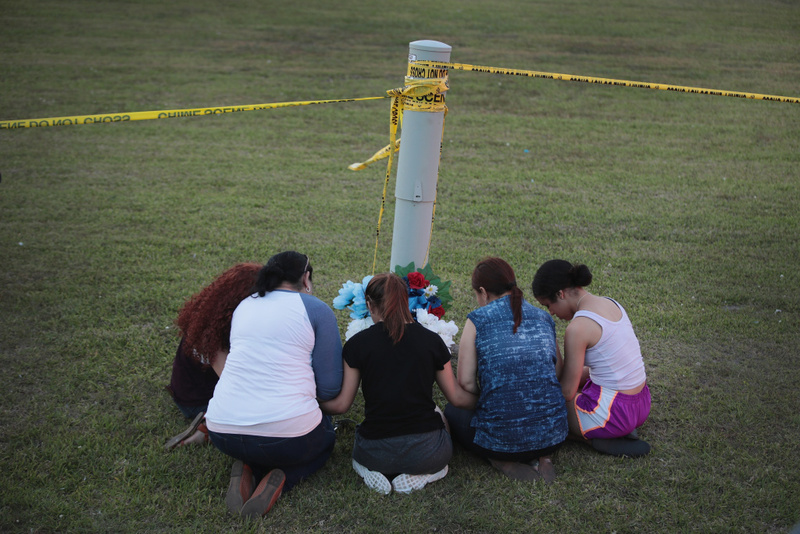 Mourners say a prayer after leaving flowers in front of Santa Fe High School on May 19, 2018 in Santa Fe, Texas. 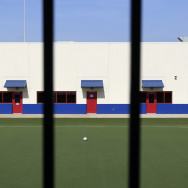 The day before, 17-year-old student Dimitrios Pagourtzis entered the school with a shotgun and a pistol and opened fire, killing 10 people. 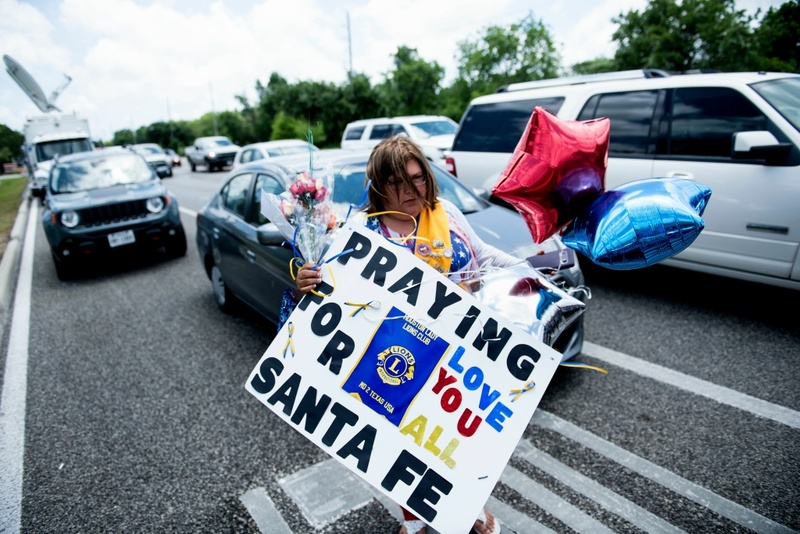 Residents bring memorial items to Santa Fe High School on May 19, 2018 in Santa Fe, Texas. 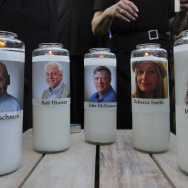 Ten people, mostly students, were killed when a teenage classmate armed with a shotgun and a revolver opened fire at the school on May 18. 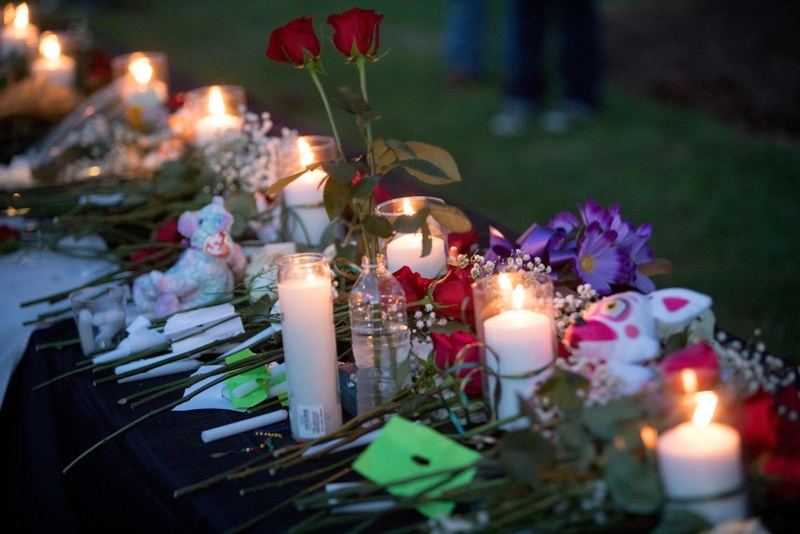 Candles, flowers and stuffed animals line a table during a vigil in Santa Fe, Texas for the victims of the mass shooting on May 18, 2018. 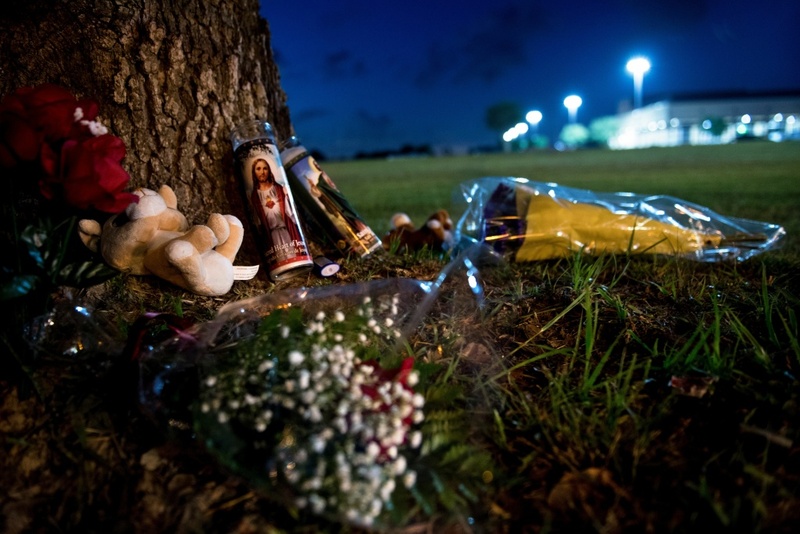 Ten people, mostly students, were killed when a teenage classmate armed with a shotgun and a revolver opened fire in a Texas high school May 18, 2018, the latest deadly school shooting to hit the United States. 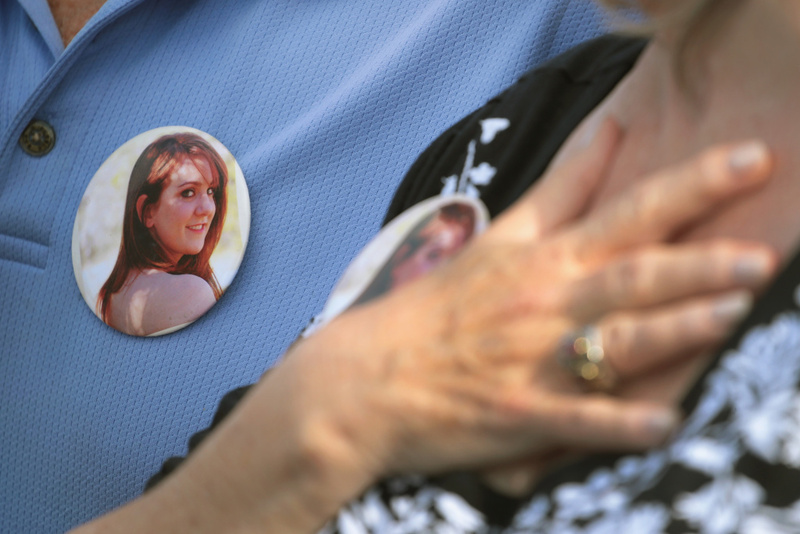 Sandy and Lonnie Phillips talk about their daughter's death in a 2012 mass shooting outside of Santa Fe High School on May 19, 2018 in Santa Fe, Texas.